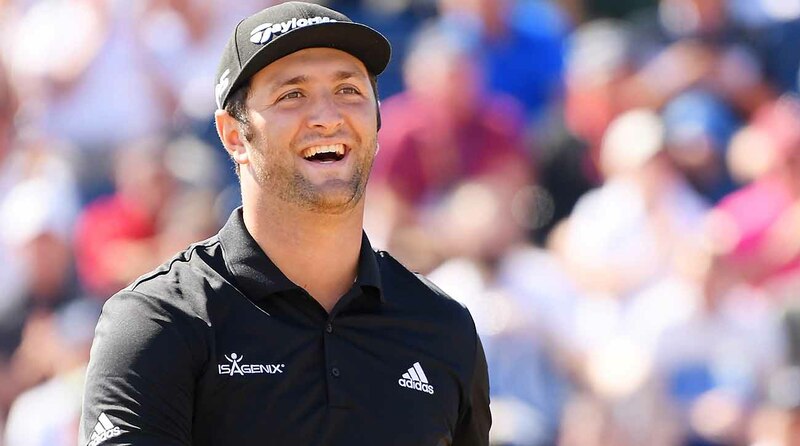 Jon Rahm (Odds: 8/1, DraftKings $11,600, FanDuel $11,900) This event's defending champion, Rahm took last week off after an underwhelming week at Kapalua, where he lost strokes on the field with his putter. His ballstriking, as usual, was better than average, and that 34-man field of winners could be stronger than this one. Rahm is one of just three players in the field ranked inside the top 20, along with Justin Rose (Odds: 9/1, DraftKings $11,100, FanDuel $12,100) and Six Pack fave rave Patrick Cantlay (Odds: 16/1, $10,600, FanDuel $11,300). At these prices, Rahm is my top choice. Going Streaking: Players entering this week in the great form Chez Reavie (Odds: 33/1, DraftKings $9,200, FanDuel $9,800) He made a strong debut last week -- including three eagle hole-outs in one round! -- at the Sony, and he also has a decent history here, where he has two top-20s in his last three starts. Hudson Swafford (Odds: 40/1, DraftKings $8,300, FanDuel $8,200) Another past champion that seems to be peaking at the right time, Swafford has now strung together 10 straight made cuts that include five top-30 finishes. His best result came last week, where he tied for third. Swafford flashed a strong all-around game while gaining strokes in all four measured categories. I think he'll continue to ride the wave in the desert. Anders Albertson (Odds: 110/1, DraftKings $7,200 FanDuel $8,400) Speaking of ballstriking, Albertson is off to a nice start to his PGA Tour career, making 4-of-5 cuts and earning three top-30s and a top-5. Of golfers with more than eight measured rounds, he ranks only behind Rahm, Luke List, Chez Reavie and Cantlay in ballstriking. Each of those other guys are among the 10 highest salaries in this field; Albertson checks in as the 50th most expensive. A perfect addition to a roster with other big-ticket guys. Mulligans: A player who needs a mulligan or two to turn things around Brian Harman (Odds: 66/1, DraftKings $8,800, FanDuel $10,200) With no top 10s since the Traveler’s Championship last June, Harman needs a spark. Maybe he'll find it this week, where distance isn't so crucial. Where to play this fantasy Golf this week: DraftKings: 1. $5 buy-in called “Tee To Green,” with a top prize of $50,000 and a guaranteed prize pool of $300,000. 2. $333 buy-in called “Club Pro,” with a top prize of $50,000, and a guaranteed prize pool of $150,000. 3. $33 buy-in called “Dogleg,” with a top prize of $25,000 and a guaranteed prize pool of $150,000. FanDuel: 1. $7 buy-in called “Eagle,” with a top prize of $10,000 and a guaranteed prize pool of $50,000. 2. $333 buy-in called “Monster,” with a top prize of $10,000 and a guaranteed prize pool of $20,000. That’s it for this week, folks! As always, check my bio below if you’d like to get in touch. Jason Rouslin is the lead golf analyst for Awesemo.com. He has been playing golf for the last 20 years, betting on golf for the last five and writing about golf for the last two. Connect with him on twitter @dfsgolfer23 or check him out on the @rotogrinders live golf show on Tuesday’s @ 8 PM and on the live @Awesemo_Com betting show at 11:30 AM!